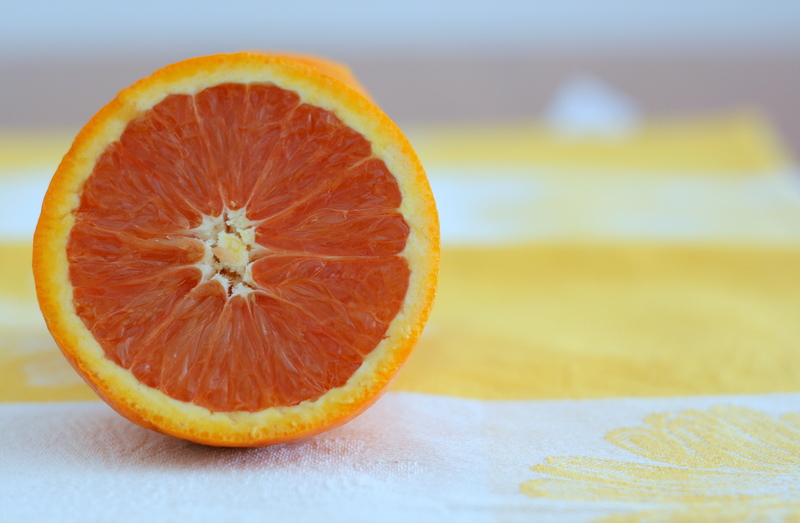 It’s time to stop thinking of oranges as just Vitamin C vessels. Researchers from the University of Central Florida are studying these citrus-packed fruits and their ability to propel their juices at an explosive speed in the hopes that it could lead to improvements for spraying products like asthma inhalers. When Andrew Dickerson was still an undergraduate at the Georgia Institute of Technology he had an “oddly curious” advisor. “One day he asked me, ‘hey have you ever noticed how an orange sprays when it is peeled?’” he told Inverse. Something as simple as peeling an orange has turned into a study about jet propulsion and how the oils in the glands of an orange peel can somehow shoot 10 milliliters per second from just a half a millimeter deep cavity — 1000 times the speed of a rocket launch to space. These cavities are very fragile and when they are bent in even the slightest way, they burst. Although its evolutionary purpose is still unknown, the researchers believe the peel acts as some sort of sticky defense against predators. Anyone who’s ever been shot in the eye with orange juices knows, this is one hell of a defense mechanism. To track the jet spray, the researchers used slow motion videography and a lot of magnification so they could see exactly how an orange sprays. The tiny jets that form are only about as thick in diameter as a human hair. Similar to an asthma inhaler, the jets atomize the juice so it is more like a spray than a liquid. Dickerson imagines that if they could use practical applications from this research, they might be able to create a one-time inhaler. As of right now, people with asthma are spending anywhere from $50 to $150 on one inhaler. But, studies show that the average person uses their inhaler so sparingly that it expires before they ever even need it. So, as Dickerson points out, instead of wasting medicine and money, why not create a one-time inhaler using the same mechanisms an orange uses that would be a fraction of the cost?